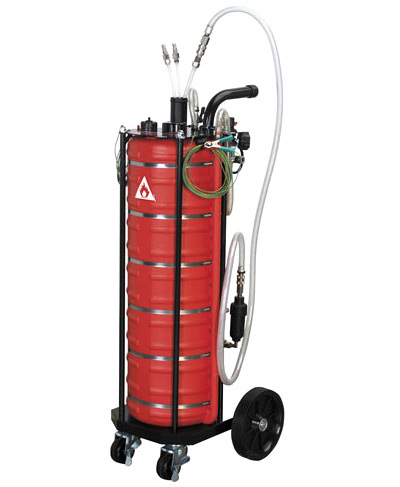 An air operated fuel drainer is a mobile tool - usually on wheels - which uses an air hose to entirely drain a vehicles fuel tank and fuel lines prior to mechanical work on the fuel system. Air operated fuel drainers usually have a built-in resevoir to safely hold all the removed fuel. Air operated fuel drainers are designed to work with both petrol and diesel vehicles.